Repurpose your old Crib. I’ve got two old cribs in my garage that 4 of my kids have used….two of them because of the twins! Once we found out they were no longer safe, I hated to throw them out. Kinda feeling sentimental about these things, how about you? I’m excited to have found some amazing ways to repurpose my old cribs so they can be enjoyed even longer! Awesome! 1. Turn a crib into a Toy Chest. Love the fabric here too! 2. Spring Memo Board. Great step by step directions. Love how they framed it! 3. This Chore & Behavior System is a great use of an old crib! Love it! 4. Make a Table from a Crib. The kids will love this one! This even includes a chalkboard table top! 5. This old crib has been turned into an Organizing Rack for Crafting supplies! 6. This Jenny Lind Bed Bench is super adorable! 7. You could even make a Chalkboard Easel! Seriously cute! 8. Have lots of fabric needing to be stored? Turn your old crib into easy Fabric Storage! 9. Turn your crib into Book Storage. Perfect for any kid’s room! 10. If you like the smaller benches, here’s a great way that can go on the front porch! 11. If you have a green thumb, a Garden Trellis might just do the trick for those cucumbers and peas! 12. Here’s a great tutorial for making a baby/dog gate out of those old cribs. 13. This Crib Rail to Wall Decor has tons of possibilities for hanging decorations. 14. A Gate and Fence for your porch is a super creative way to use up your old crib. Fun! 15. This Vintage Crib has been repurposed into adorable bookshelves! Love this! 16. 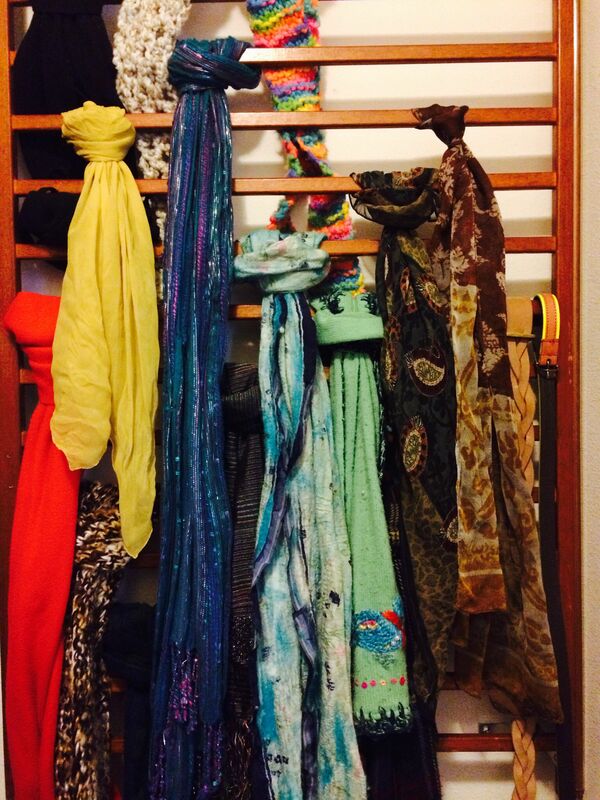 Use your crib side to hang your scarves and belts. 17. 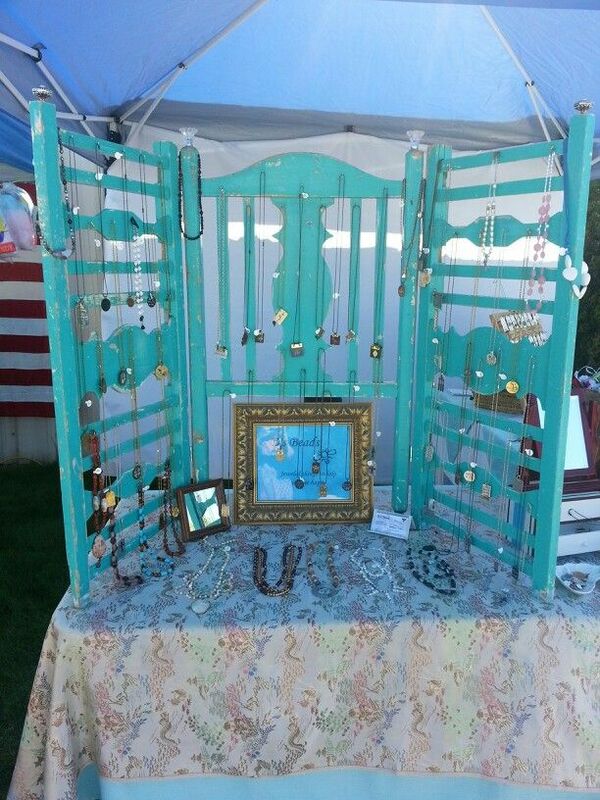 A great way to display your jewelry for sale is the plan for this crib! So adorable! 18. Need a spot to hang your laundry while it dries? Try an old crib in your laundry room! 19. This little blue wagon is a fun way for the kids to keep using their crib! 20. From Crib to Coat Rack– here’s another great way to keep your old crib out of the landfill! With all these possibilities, now my only problem is what to choose! 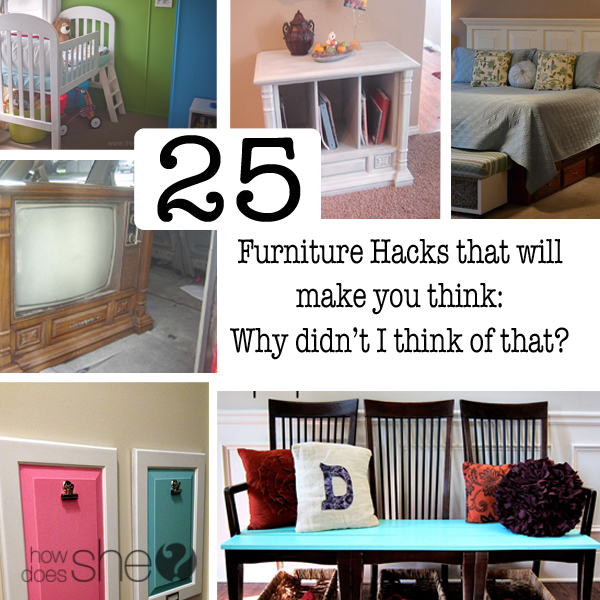 There’s some great ideas here – I’d love to hear what you do with your old cribs! I made a bench from an old crib recently. It turned out fabulous. Thanks for sharing these other inspiring ideas. Lovely ideas! Keeping the old crib an turning into a nice useful piece of furniture at home is such a good idea. 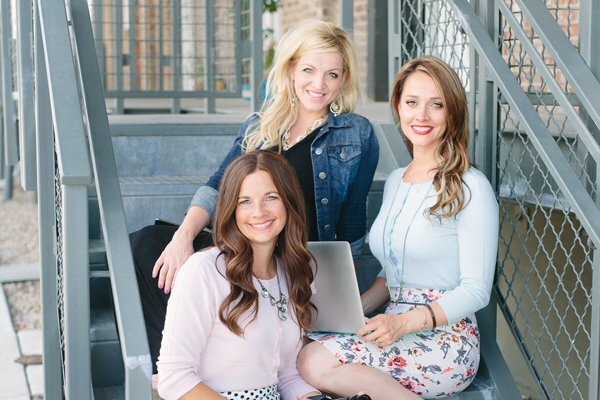 Here are some great projects and I’m definitely showing to my sister because she’s now trying to reuse and re-purpose all the baby items, left from her kids. Thank you for this post! One of my all time favorite things I’ve done with an old bed rail was to hang it on a door. I once lived in a place with a beautiful antique door that faced our back entry from the kitchen. It had a huge window that needed some covering for privacy. I used over-the-door wreath hangers to suspend the rail, then added simple “S” hooks randomly. I then hung baskets and various antique kitchen utensils. I nestled baskets inside one another from their handles to gain depth and save space, and others I hung several utensils of various lengths. It was beautiful. Alas, I’ve long since moved from there and have no pix to share. 🙁 I hope this helps somebody solve their desire to decorate without damage as well.